Explanation of why this is occurring: According to Google this is a legit notification from Google regarding an event on your account via one of their services such as YouTube, Google Photos, AdWords, Blogger, or Picaso. It is referred to as a conflicting account. 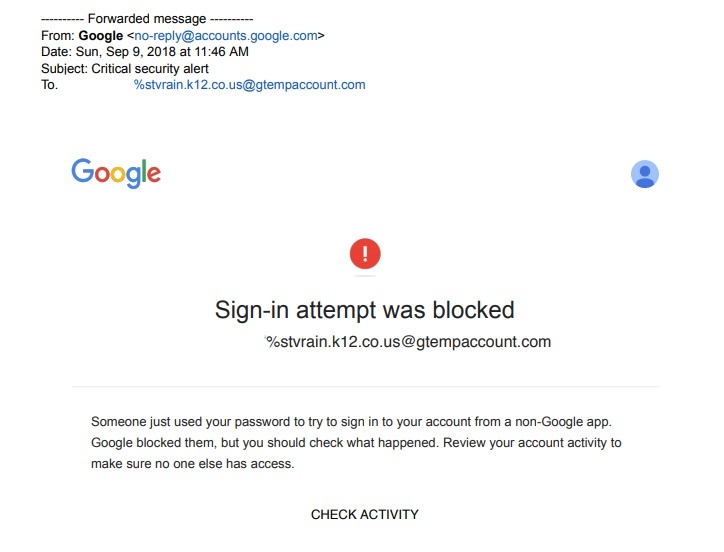 This is because you had an account with one of these services using your @stvrain.k12.co.us email before 2012 when we changed to @svvsd.org. Both accounts do exist in Google applications.